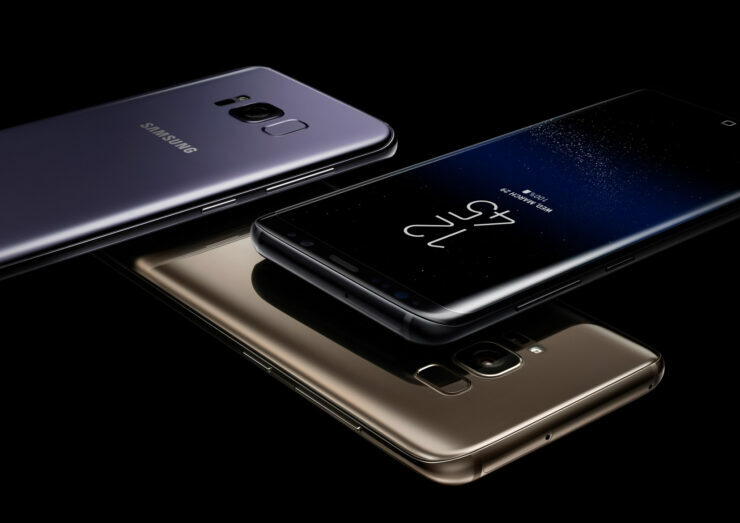 With its Adreno 540 or Mali-G71 GPU (depending on which chipset variant you purchase), the Galaxy S8 and Galaxy S8+ are a force to be reckoned with in both raw GPU and CPU performance. Android gaming applications are expected to run smoothly on both phones even when you have the resolution cranked to the limit and one YouTuber decided to check if the smartphone was powerful enough to handle your beloved gaming titles comfortably. The YouTuber calls himself GuruAidTechSupport and shows that if you have tiny fingers then you can take advantage of the on-screen buttons in order to play the games on the Galaxy S8. He did not show if these games would run flawlessly using a Bluetooth controller connected to the smartphone but we feel that it would seamlessly since all the two products would need are a bridging network that is done via Bluetooth connectivity. Coming back to the hack he used, GuruAidTechSupport showed off three games which he demonstrated as being highly playable on the Galaxy S8. The entire experience is fluid as you can see in the video below. He has detailed in the description that he was able to make this possible through an emulator called Dolphin Emulation and managed to get the games up and running on a demo unit at Target. He also states that he successfully managed to avoid being caught by a suspicious employee, who may or may not have noticed that he hacked the Galaxy S8 in order to run games. While it is great to see that GameCube titles can run flawlessly on a Galaxy S8, we doubt that support for different games is going to be acknowledged. Did you enjoy this video? Tell us your thoughts down in the comments and remember to watch the clip if you have not already.